Tomorrow (Dec. 5), USA Hockey will unveil the preliminary roster for the 2019 U.S. National Junior Team that will compete in the 2019 International Ice Hockey Federation World Junior Championship in Vancouver and Victoria, B.C., from Dec. 25, 2018 - Jan. 5, 2019. The announcement will take place tomorrow during 4-6pm ET on NHL Network's "NHL Now." NHL Network's Jackie Redmond, E.J. Hradek and Ryan Whitney will unveil the news. John Vanbiesbrouck (Detroit, Mich.), assistant executive director of hockey operations for USA Hockey and the general manager of the 2019 U.S. National Junior Team, will be a guest on show to discuss the naming of the preliminary roster. Media credential application requests are now being accepted for the 2019 U.S. National Junior Team Training Camp from Dec. 15-17 in Everett, Wash. The camp will serve as part of the selection process in determining the final Team USA roster for the 2019 IIHF World Junior Championship. Media wishing to attend any part of the Everett camp should complete the online credential form by this Friday (Dec. 7) at 12 noon ET. NHL Network is the official U.S. broadcaster of the 2019 IIHF World Junior Championship. 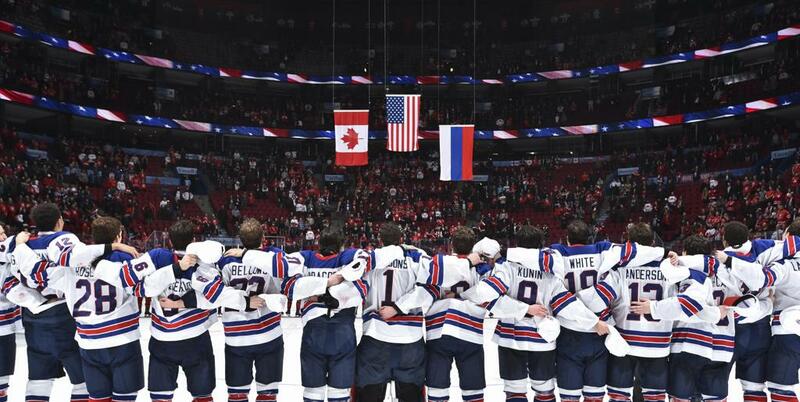 The United States enters the tournament having medaled in three-straight World Junior Championships for the first time in U.S. history after earning gold in 2017 and bronze in 2018 and 2016. Team USA will play its preliminary round games in Victoria against Group B opponents Kazakhstan, Finland, Slovakia and Sweden. Quarterfinals will be split between the Vancouver and Victoria. The semifinal and medal games will be played at Rogers Arena in Vancouver. For more information about the tournament, click here.